Pompeian, a century-old firm in a 4,000-year-old industry, is leading the way to the future of manufacturing with significant and ongoing investments in technology, including automation, robotics, farm-to-client tracking software, and much more. The investments have paid off. Since its acquisition by the Devico family in 2009, the Highlandtown-based firm is now the U.S.-market leader for extra virgin olive oil and other products. But technology is just one aspect of the company’s growth plan. Mouna Aissaoui, Chief Operating Officer for Pompeian, says the company maintains a “forward-looking approach to our products, processes, and people.” “We are intensely focused on providing the highest-quality product, so, to us, innovative expansion includes more than just technological advancements. It includes opportunities for growth for current employees, and future generations too,” Aissaoui said. In this installment of NETFORCE – a series exploring how top performers are navigating today’s chaotic business environment to realize their true net force and accelerate forward – Pompeian’s Human Resources Director Renee Evans and Marketing Manager Casey Smith join Aissaoui to discuss the company’s advances, the challenges it has faced, and the impact it expects those changes to work on its industry and community. When did you begin exploring robotics and automation, and why? M.A. : We’ve long had some degree of automation, but it’s really ramped up in the last seven to 10 years under the Devico family’s ownership. We’ve invested $3 million a year, on average, in technology and robotics to fully automate our production lines, warehouses, and inventory processes. We’ve also created a Department of Information Technology and beefed up our quality control operation. And as we’ve expanded, we’ve added other departments, like Logistics and Human Resources. Our first priority is providing the highest quality products; all of the measures we’ve adopted are ultimately directed to that goal. It is what distinguishes us. But we also want to make olive oil a tradition in every American household. Olive oil consumption has risen sharply in the U.S. since the 1990s but it has leveled off in recent years, and research has shown that only about 45 percent of households use extra virgin olive oil. So, as far as we have come, we think there is still a tremendous opportunity for growth. We want to provide the highest quality products at the best possible price. We are constantly innovating, and constantly looking for efficiencies and ways to create the capacity we need in order to do that. What key changes have you made to your process? M.A. : We’ve put in systems to ensure quality, increase efficiency, and create additional capacity. First, on quality, the most visible proof of our ongoing commitment is the Quality Control and Research & Development Center we opened in September 2017. 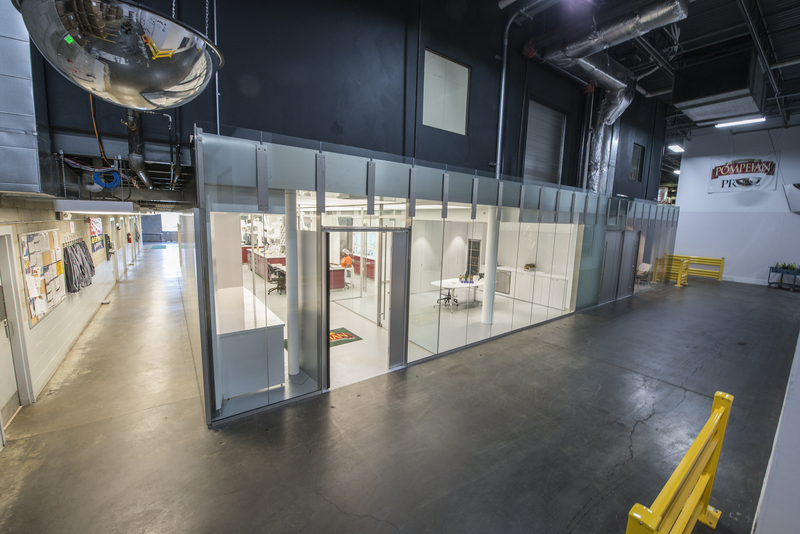 It’s a $2-million, state-of-the-art facility that includes a lab to perform quality and purity analysis in accordance with national and international quality standards and certifications. C.S. : We take purity very seriously. We were the first national brand to attain the USDA Quality Monitored Seal for extra virgin olive oil. We also have a unique traceability software system, which allows us to trace every batch from the farm where the olives were harvested, through blending, bottling and storage, right up to the delivery to ourcustomers. We also have several checks and balances to maintain quality during the production process. For example, we have separate, color-coded piping and pumps for each different product, so that the extra virgin olive oil, for example, doesn’t get crossed with the organic olive oil. We’ve automated the pumps, too, so they can be operated remotely. That’s both a quality and efficiency benefit. R.E. 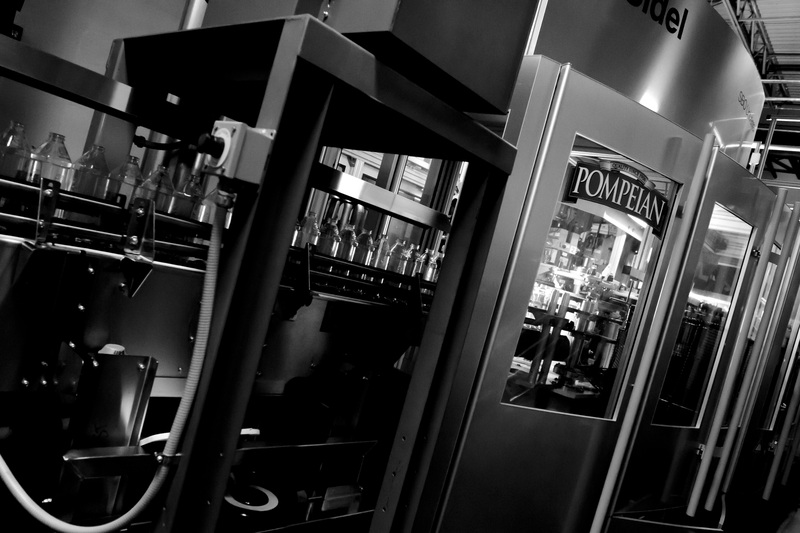 : And, regarding the changes to increase efficiency – all of our bottling, filling and labeling is now automated. Before we made some of these upgrades, we had individuals who would, say, take an empty bottle out of a box and get it started down the line. We’ve eliminated those manual processes; it’s all automated. We’ve even added equipment to put on “dogbones” – basically a handle that connects two bottles so you can pick them up as one, which we were originally doing by hand. We have robots at the end of each of our production lines, stacking the boxed product onto the pallet in whatever formation is required. How have you created additional capacity? R.E. : As we’ve grown, many of our biggest challenges come down to space – having the capacity to take on more oil for processing and to store more finished product, and having the line capacity to be able to keep up with increased demand. By decreasing our need for storage and shifting more of it off-site, we were able to free up enough room to add a second shift. That significantly increased our ability to keep up with our rapidly growing business. A real turning point was when we stopped buying and storing bottles and started blowing them ourselves. We had switched from glass to plastic in 2004, but under the Devico family, we started manufacturing the bottles in-house. It takes a lot less space to store the pre-forms than the finished bottles, and we can run the size and number of bottles we need, when we need them. C.S. : We also created our own high-tech tank facility at the Port of Baltimore, the only one of its kind in the U.S. The tanks are monitored, labeled and separately piped to avoid cross-contamination, and topped with nitrogen to keep the oil fresh. The “tank farm” added an additional 2 million gallons of oil storage to our capacity. That is a huge advantage, especially given the volatility in crop prices. And from a logistics standpoint, it gives us more flexibility to run the blend of olive oil we want to run, when we want to run it. We can base our production decisions on demand, not on supply or on the schedule of the supply ship. M.A. 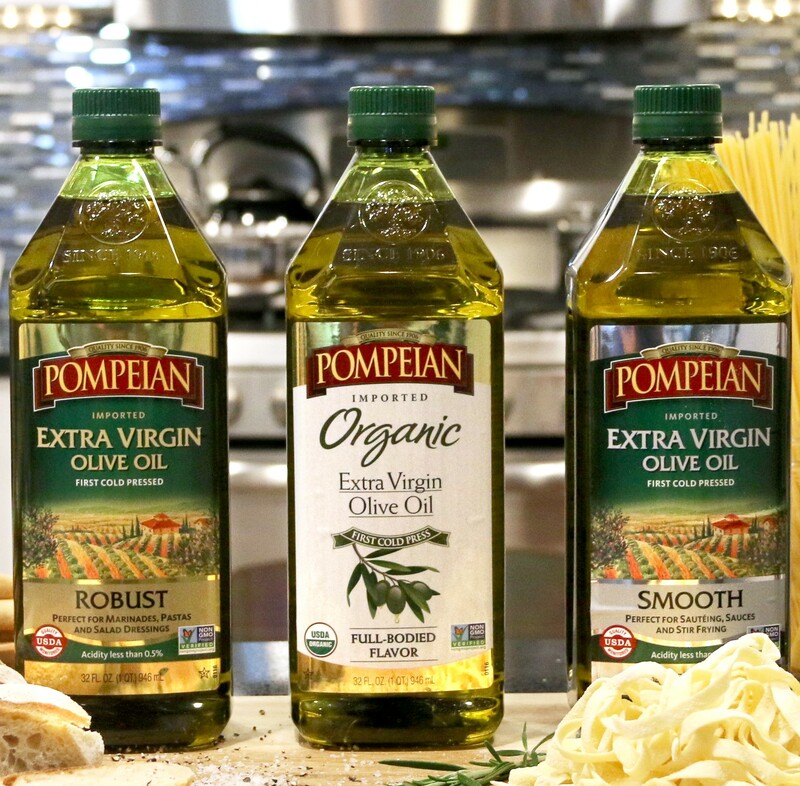 As a measure of impact, through the technological changes, logistical efficiencies and smart sourcing decisions, we estimate that Pompeian Olive Oil products reach the retail shelf within about 90 days, while our competition’s reach the retail shelf in about 155 days. That is a quality advantage as well, since it means our products are fresher. Again, it all comes back to quality. How have your employees adapted to the changes? R.E. : First, it’s important to note that our increased use of robotics and other technology hasn’t decreased the number of employees. When I started at Pompeian in 2012, there were around 60 or 65 employees; now, we’re about at 100. We have employees who have been here 40 years and four years, and we’re adding new positions each year. The Devico family and our CEO, David Bensadoun, made a very large push to create a one team atmosphere, with shared goals and objectives. The leadership team is responsible for reinforcing that message. We want each employee to know that they are part of our day-to-day, continuous improvement. Before the Devico family, there was no H.R. department. My position was created to make sure that our benefit programs and hiring practices remain competitive, and to ensure that employees and management are communicating effectively. We have a volunteer committee of employees who meet throughout the year, creating health and wellness activities like yoga, and a garden out back where we grow herbs and some vegetables. We do a lot of different things to promote a sense of community. We are still a family-owned business, and we work to remember that as we build programs for our employees. 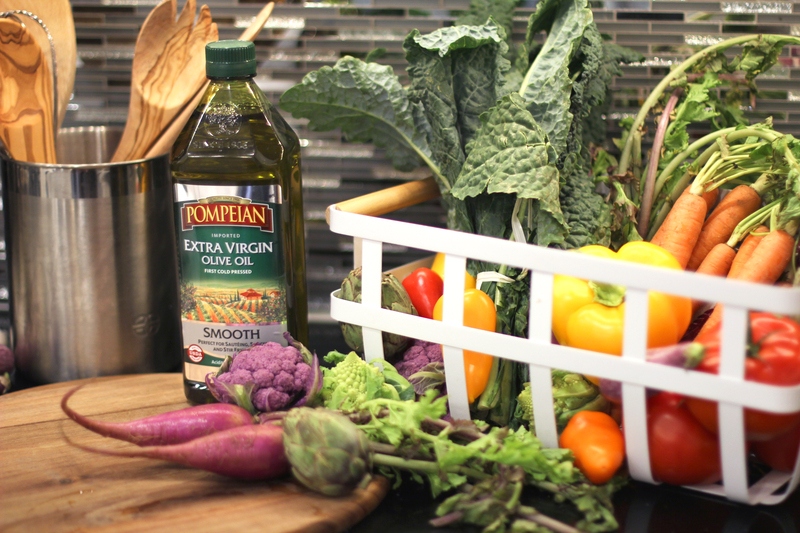 We make a healthy product, and we want to promote health and wellness amongst our own Pompeian family. How will you find the employees you need to keep growing? R.E. : It can be a challenge. The market for manufacturing employees is very competitive right now. A recent study found that manufacturing faces an estimated 2 million-worker shortfall over the next decade, and that six out of 10 positions are currently unfilled. Part of the problem is that manufacturing carries a stigma – the perception that it involves very dangerous or dirty jobs. Our facility is very different from that perception: we’re a food facility and we work very hard to ensure a clean, safe working environment. Since we’re primarily automated, physical labor and repetitive motion injuries are minimized. In fact, we recently celebrated 5 years without a lost time work injury, which is incredible! We’re even certified by the Carbon Trust, which honored us in 2016 for reducing our carbon footprint through the changes we had made. We were one of just four honorees, and the only one from the United States. We’re working with local elementary and middle school students to promote health and wellness, and to promote manufacturing as a career. We’ve worked with high school teachers in Baltimore County, so that they can talk to students, college-bound or not, about different ways that manufacturing might fit into their career path.We also work to grow the skills of our current workforce and new hires. We’ve combined some training resources with other manufacturers in the area, partnering with them to get state EARN grants to help with training costs. If I have one or two employees who need electrical training, Baltimore City Community College is not going to create a class just for them. But, if there are several manufacturers with the same need, we can work with BCCC to create a class. That’s good for us and it helps other manufacturers, which helps the community. How have these enhancements affected your products? M.A. : The changes allow us to maintain quality, reduce costs and increase capacity so that we can reach more people, while our new R&D center allows us to experiment with different blends and flavor profiles to give consumers more options. C.S. 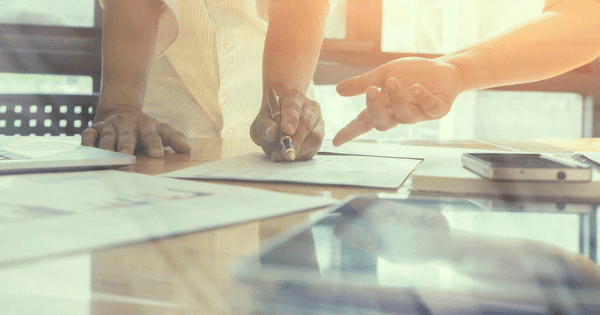 : A lot of time goes into R&D – whether it’s in-person and focus groups, or online questionnaires and surveys, looking for trends and markets to enter. We entered the grapeseed oil market seven years ago and now there’s not a competitor anywhere near us. We’ve made mistakes along the way, but we always try to learn from our mistakes. We took what we learned from previous product launches and developed our Smooth Extra Virgin Olive Oil, a different flavor profile from our Robust version. We launched Smooth three years ago and it has been one of the biggest success stories in olive oil in the last decade. Technology, digital marketing and social media sites like Instagram have also changed the way we communicate about our products, especially with Millennials – the 18- to 35-year-olds. We share different recipe ideas and ways to use our products, and do some education campaigns about the types and benefits of olive oil generally. We try to drive home what distinguishes us, like the USDA Quality Monitoring Seal and our different flavor profiles. Putting all of this together, what do you consider your overall NETFORCE? M.A. : Where we are today is not an endpoint. Each of our enhancements and quality-control achievements is a stepping stone for future initiatives, which will create more opportunity for production and growth, from an industry and consumer perspective. We are proud of our products and believe that the more we succeed, the better it is for consumer health. C.S. : And the more we succeed, the more likely it is that others in the industry will follow our lead. We’ve seen it happen; for example, after Pompeian switched to plastic bottles, the rest of the major brands quickly followed suit. That’s a business decision, but think about the other benefits it brings. Plastic is lighter than glass, so it uses less energy to transport and is easier for employees to lift and handle. That’s good for the environment and for workers’ health. Looking forward to the next 10 years, we expect to keep growing. We’ll continue to promote a healthy product, promote manufacturing within our community and vicinity, and promote training, health & wellness and personal growth throughout our own Pompeian family. We expect more manufacturers, especially in the oil and vinegar markets, will follow our lead, and as they do, it will magnify the positive effects of what we’re doing. Companies will run more efficiently, their employees will be better educated and more adaptable, and enjoy a better working atmosphere, because Pompeian has raised the bar on efficiency, training, collaboration, and health & wellness programs. Communities like Baltimore will have a stronger manufacturing base, because more efficient manufacturers are more likely to survive than poorly run ones. It’s challenging, trying to educate and bring up new ideas, but if nobody is going to do the hard work, then nothing’s going to happen. Long term, what we’re doing will change people’s perspectives, whether it’s their view of manufacturing, Pompeian, or on the way they live – that they can eat healthier, exercise more. That’s an overall, lasting impact.